Marble Hill House020 8892 5115workFilm/TV LocationMarble Hill House is a Palladian villa built for Henrietta Howard, mistress of King George II when he was Prince of Wales. It was built between 1724 and 1729 and can be found in Twickenham, on the banks of the River Thames. The House and gardens were used as a retreat from the overcrowded 18th Century London. Its grand interiors have been restored and recreated to give the atmosphere of fashionable Georgian life. The house is surrounded by 66 acres of park leading to the River Thames. Film, TV Productions and stills shoots make use of both the gardens and the Villa as a location alongside exclusive use of several multifunction sports pitches and tennis courts. 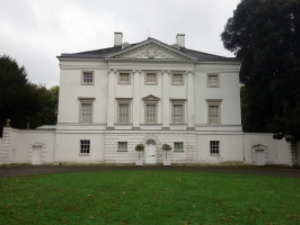 Marble Hill House is a Palladian villa built for Henrietta Howard, mistress of King George II when he was Prince of Wales. It was built between 1724 and 1729 and can be found in Twickenham, on the banks of the River Thames. This sequel sees the arrival of Nanny McPhee to aid a young mother who is trying to run the family farm while her husband is at war. Bus: R68, R70, 33, H22, 490.